At Armondo`s we use our experience to recommend a wine that will be a perfect complement to your meal. We stock a variety of domestic and imported red, white and sparkling wines. Relax at our comfortable bar, dine in our warm and casual atmosphere, or contact us for information about our planning and event services. If you live in the neighborhood we can also deliver a meal right to your door step. Whatever your dining needs, Armondo`s Italian Restaurant will make your dining experience one to remember. I have eaten at this restaurant for 21 yrs, the staff, food always outstanding. Jerry, the owner, always friendly, professional and very funny, makes it his business to come out and say hello. Great food & hospitality. The owner interacts with every customer. Staff is very informed and helpful with food recommendations. Simple yet elegant. Staff was friendly - a little disappointed the waiter couldn't tell me what selection of whisky they had. A quiet restaurant suitable for a night out with a partner to just eat, drink, and talk. 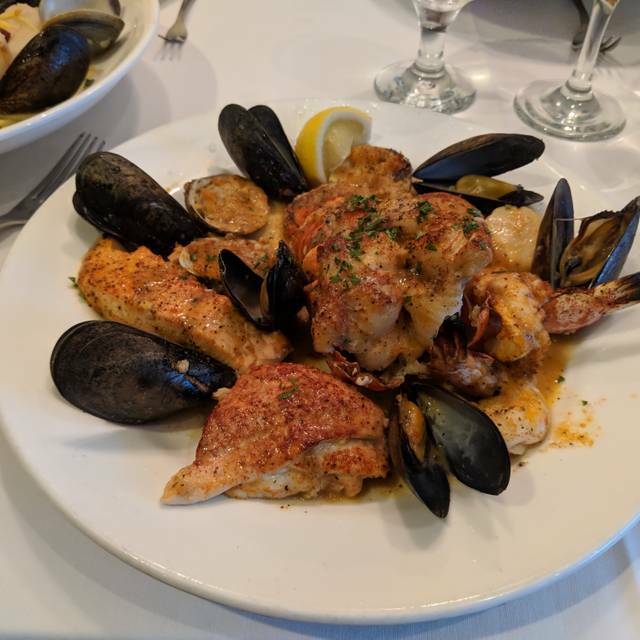 We always have a great meal at Armondo's! We live in Texas but always make plans for dinner when we're in NYC. The food is authentic, the staff professional and we love the new place. When you can, get to Armondo's, you won't be disappointed. Found this place on google maps. And I was so lucky. Food was very well executed and super clean. Perfectly seasoned. Service was great attentive and wasn’t too push but recommended great choices. I already recommended to my friends who tried it and was extremely happy . Little things make a big difference in fine dining. Freshly ground pepper should be offered instead of having to chase down the waiter. Also in the beginning the waiter basically ignored our table,but when he heard us complaining among ourselves,the service became much better,even offering my sister a free dessert cause it was her birthday. The food was just so so,though my chicken parmesan was much tastier then my sister's chicken masala. Minestrone soup had many fresh vegetables and looked homemade,but on the flavorless side. Was disappointed that the bread wad not served with olive oil for dipping. Bread was also meh. On Mondaysif you pay cash you receive 20% off the bill,which is certainly nice. This is how a restaurant should be run. The owner meets you at the door and introduces himself. He spends time overseeing the staff to make sure your enjoying your experience. The staff is knowledgeable and friendly. Could not have had a better dinning experience. Excellent service and food! Will be going back again very soon. Arrived at Armondos on a cold night and were greatly warmly by the staff. Drinks and dinner were excellent and provided in a timely manner. I highly recommend Armondos for extra special dining experience. Good food and great friendly service whenever i go. I made the reservation but they had no record of it. They were able to accommodate us but they stated we had no reservations. Always a great meal and a great time at Armondo's! We enjoyed Armondo's for our first visit and owners were very nice, service nice etc.. But there was some party going on or fundraiser and I wish we'd known. Really wasn't interested in hearing guests singing showtunes and opera. I'd have tried the place another time. I think diners just want to know if something going on to make the choice. Felt a bit stuck when the singing started..
Love this place. Thank you Gerry for a wonderful meal. Everything was superb tonight. Can't wait to come back an visit. My favorite neighborhood place-always get treated like royalty there! Excellent as usual. Every time we go, the food is excellent. The service is consistently great. Somehow, the experience is better each time. Not going to try to explain it. Check for when they are open--the July 4 week I think they are closed. I had pork chops. There was enough left over for a good lunch. At 730 PM on a Thursday, it was almost full. Mediocre at best - there is a shortage of Italian restaurants in the area which is the only reason to return. Our family has been going here for years because we know we will have an enjoyable, delicious meal. Wonderful neighborhood place. Has been in business 41 years! Jerry the owner makes you feel welcome and like family! Delicious food. Close trip to LaGuardia. Can’t recommend this place enough! Loves seeing Jerry and tasting some of our old favorites. Have been going to this restaurant for over 30 years. So happy to see it is still around. Great meal as always! We had a wonderful meal and an enjoyable evening. The food was excellent— all three members of our party loved our food. The owner was so kind and personable and we loved talking to him about Italy, his trip to America and his childhood in NYC. You should definitely treat yourself to an authentic Italian meal at this lovely restaurant. The space was inviting and immaculately clean...and we loved the Vespa hanging over the bar right in front of an enormous picture window looking out into the street. We will keep this one in our travel notes for the next time we have to fly out of the airport! I frequent this gem, as the food and friendly service are always great! 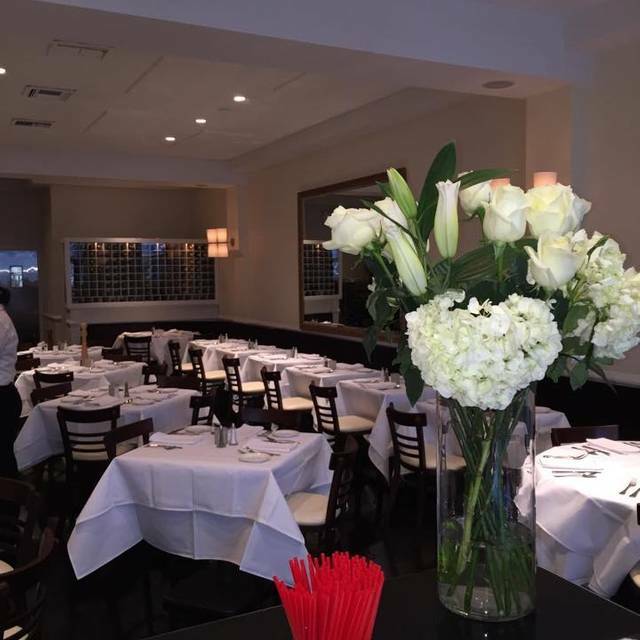 Armando’s is a fabulous restaurant in the classic New York Italian restaurant tradition. Try the filet of sole and bisque tortoise. Been going here for a few years. The owner makes the place because he is personable compared to other places owners don't care about you as a customer. Great Food. Excellent service and delicious fresh food! Always a pleasant experience... been coming for years both current and old location prior the fire ... always a great meal... make it a visit from anywhere in the metro NYC area... you will not be disappointed. Excellent food and the service is great too! We loved the Chicken Francese. Big portions of really good food not that expensive ! I will totally recommend it for a nice week end meal ! Excellent food, great service. Jerry, the owner, always makes you feel like you are the only one that matters. Thabk you to a great evening. Lunch. Dinner. Two, four, or six people. Winter. Spring. Summer. Fall. It really doesn’t matter. You will always be served delicious food, by kind and attentive servers, in a lovely space. Pumpkin ravioli with butter and sage? Try it! Dinner was spectacular. Service was excellent. Walked in the front door and thought this is going to be great! Our local go-to place for special occasions and birthday diner with my elderly mom. Terrific Italian food and lovely owners and wait staff.